KITE developed a new master plan for St. Andrew’s Olmstead-designed campus that would allow the school to increase its overall student population by 50% and double its boarding student population. To define the needs created by the expansion, the architects worked with students, parents, faculty, staff, and trustees in a series of “F.U.N. (Focus Users Needs) Sessions” to understand how the people who would use the facilities perceived their school and its future. 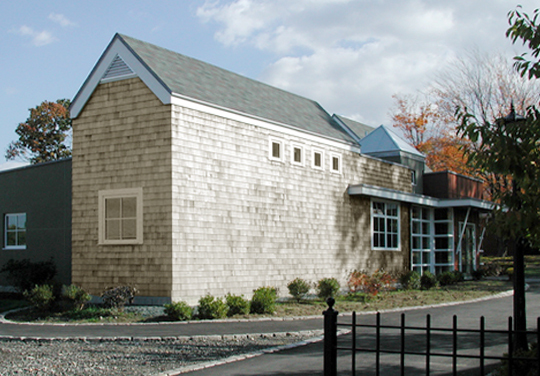 Following the masterplan, KITE designed the new Science Center to be sympathetic to the overall forms and scale of the existing campus buildings. 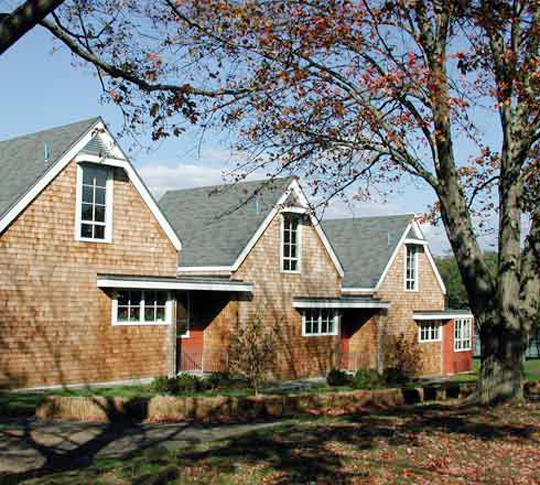 The Center is composed of a series of residential forms clad in cedar shingles that step down the hill meeting accessibility requirements without the use of an elevator. 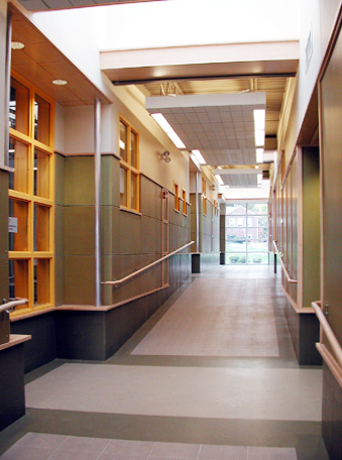 The facility contains four classrooms (Biology, Chemistry, Physics, and Environmental Sciences), each with dedicated laboratory and teaching areas. 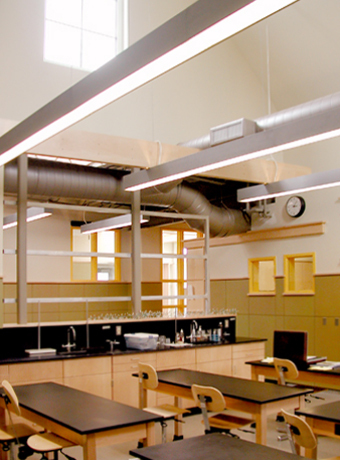 Interiors contain exposed piping and are configured to provide views into the mechanical room, further reinforcing the teaching and understanding of the sciences. Ample daylighting and a lively, nature-inspired color palette assure that there is no association with the typical staid science classroom. A Greenhouse, Gardens, Wind Mill, and Solar Water Panels, illustrate practical examples of sustainability and everyday science to the students.